The forum will bring together business leaders, community members, justice system personnel, educators and politicians to increase vigilance against hate crimes and improve support for victims. The one-day forum is one of 23 anti-hate crime projects across the province - 10 in the Greater Toronto Area - funded as part of the Ontario government's $1.35-million anti-hate crime initiative. "Using this $70,000 grant, the Somali-Canadian Association of Etobicoke will be able to build better links among communities that are all too often targeted by hate," said Attorney General Chris Bentley. "This funding will allow us to raise awareness of hate crimes in the Muslim community and engage young victims," said Osman Ali, president, Somali-Canadian Association of Etobicoke. Today's funding announcement is part of the government's commitment to improving the province's response to hate crimes and supports for victims, who are often targeted merely on the basis of their race, ethnicity, religion or sexual identity. 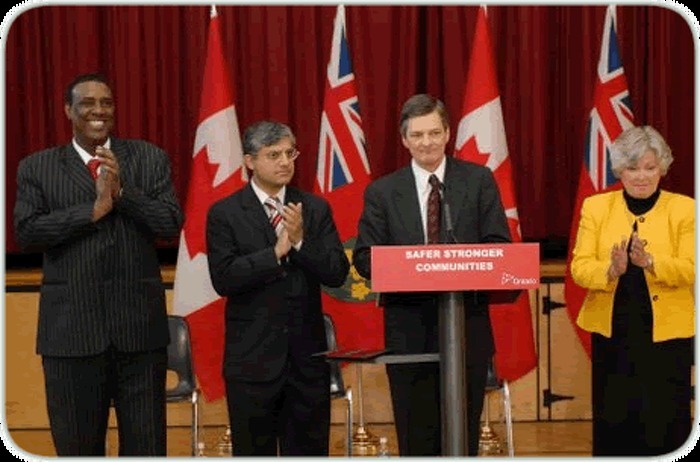 The grants are the result of recommendations of the Ontario Hate Crimes Community Working Group, established in 2005. "We are very pleased to support the Somali-Canadian Association of Etobicoke, which has offered such beneficial help to newcomers to Canada in adjusting to a new way of life," said Shafiq Qaadri, MPP Etobicoke North. "Understanding diversity plays a major role in the growth and quality of life of our community," said MPP for Etobicoke Centre Donna Cansfield. "We are pleased to support the Somali-Canadian Association of Etobicoke as it continues to build positive relationships and create greater opportunities for youth and families throughout our community." "This grant program continues to move us in the right direction," said Community Safety and Correctional Services Minister Rick Bartolucci. "I am proud of investments such as this, which reflect our commitment to fight hate crimes and support the victims." This document was published on January 31, 2008 and is provided for archival and research purposes. Attorney General Chris Bentley announces an anti-hate crime grant - one of 10 across the Greater Toronto Area - for the Somali-Canadian Association of Canada, at the Thistletown Multi-Service Centre, Etobicoke. The Attorney General is flanked by Donna Cansfield, Minister of Natural Resources (right), association president Osman Ali (far left) and Shafiq Qaadri, MPP for Etobicoke North. 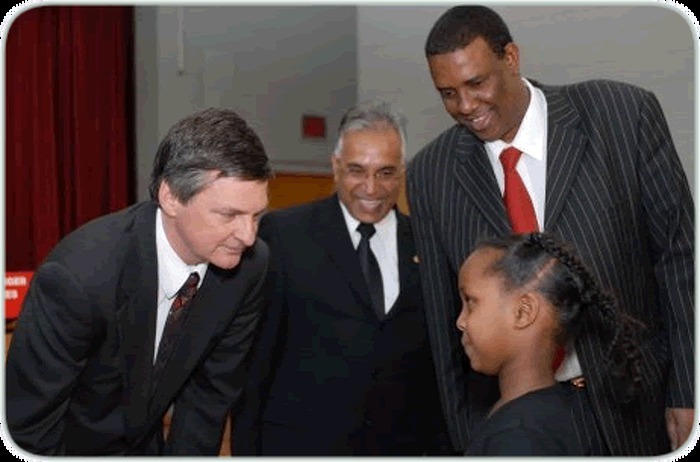 Attorney General Chris Bentley (left), Khalip Sheikh an active community supporter, and Osman Ali, president of the Somali-Canadian Association of Etobicoke (far right) greet second-grader Halima Hussein following the announcement of an Ontario government grant the association will use to benefit youth targeted by hate crimes. The association will organize a community forum to increase vigilance against hate crimes and improve support for victims.